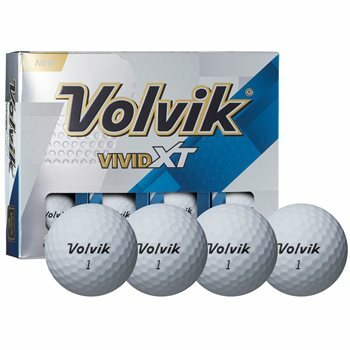 The Volvik Vivid XT golf ball is the official golf ball of the World Long Drive Association Tour and features a 4-piece construction with a unique SF Matte coating for reduced air resistance and higher trajectory. Greater energy transfer to the Inner Core from the Volvik Optimized Dual Core maximizes distance while low driver spin allows for consistent shot control and excellent flight stability. The bright VIVID color increases visibility both in the air and on the ground.